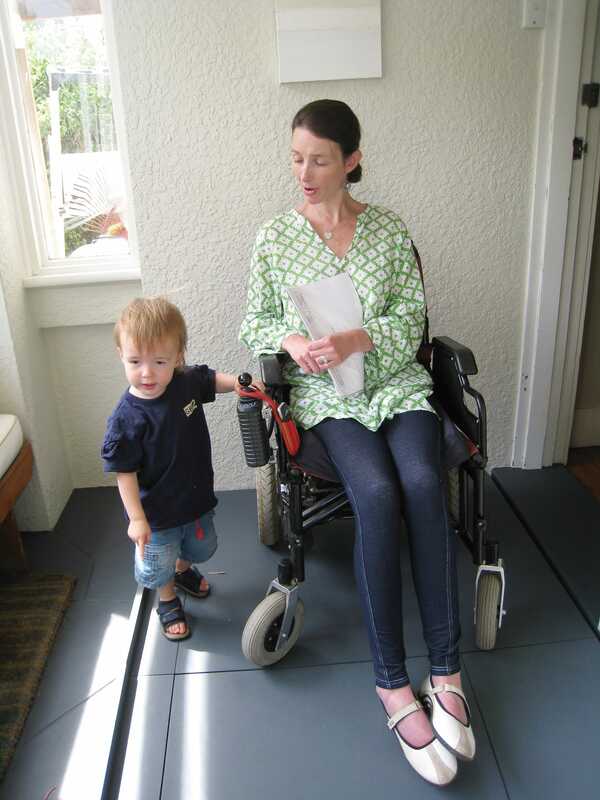 Young mother Emma, who has multiple sclerosis and uses a wheelchair, contacted TAD when she was 30 weeks pregnant with her first child, Louis, who is now 18 months old. Emma could see the problems that looking after a baby would present and she and her occupational therapist, Julianne, set to work to solve them. 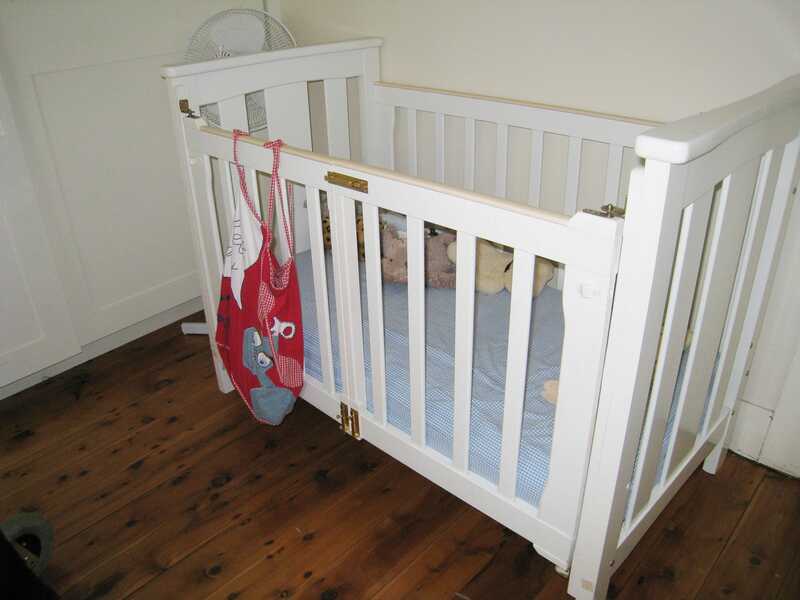 The first issue was a cot for the baby. Due to muscle weakness in her legs, Emma would not be able to stand up to reach into a standard cot and pick up Louis, even with the side at its lowest level. 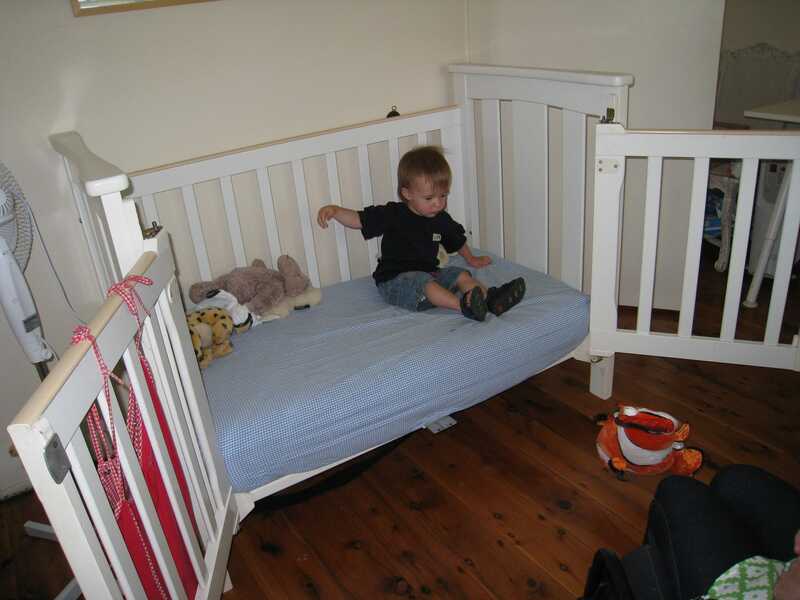 She purchased a new cot and asked TAD to modify it so the front would open and she could reach inside. Volunteer Bob Jones assembled the cot apart from one side. He cut the remaining side in half and fitted it as two gates, using self-closing bar door hinges at each end and a barrel bolt in the middle. Emma only needs to open one side to reach Louis, but bedmaking is easier with both gates open. 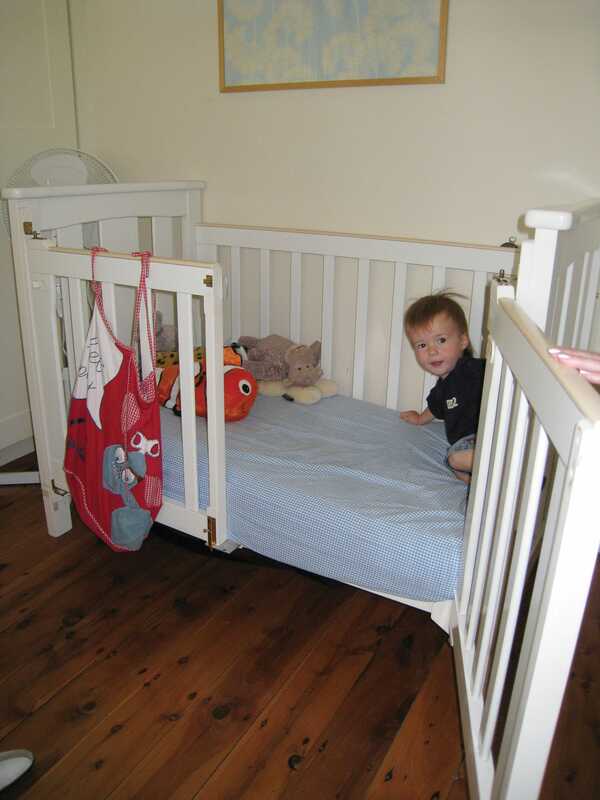 Now, as a toddler, Louis is able to scramble in and out himself, making sure to come down safely backwards. The second problem arose when Emma bought an adjustable bed, so she could raise the head to sit up comfortably and breast-feed her son. 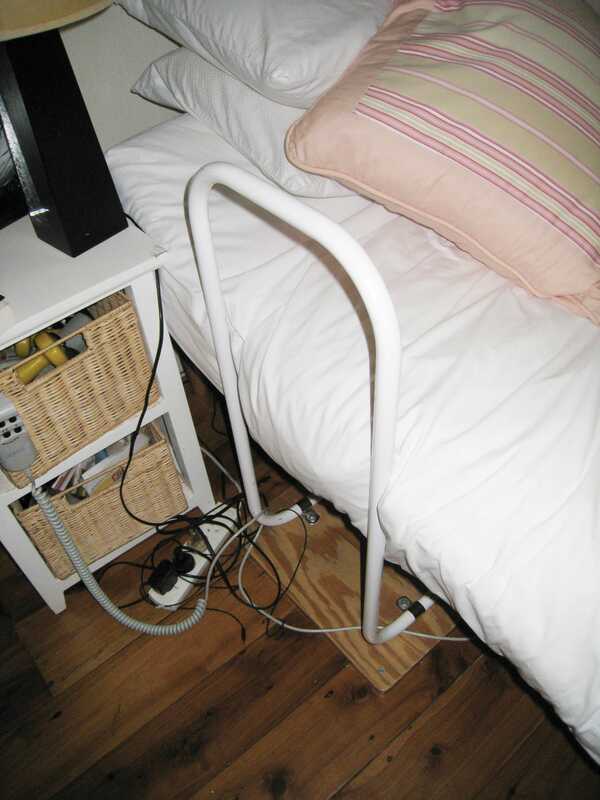 She had a support rail under the mattress of her old bed to help her to turn over and to get safely in and out of bed, but it was not stable enough when used in the same way with the new bed. Volunteer Bruce Hattersley took on the project of custom-making a new rail for Emma. The new bed is not strong enough to support a rail under the mattress, so he designed it to mount on a base which would rest on the floor. The new rail is a simple, U-shaped tubular metal support, with the bottom ends bent at 90 degrees and mounted on a plywood base plate. As the bed is never moved, Emma was happy for the base to be screwed to the floor. The installation was carried out by volunteer Bill Todd, who first arranged to have the frame powder-coated with white gloss. He then used four tri-studs to screw the base plate securely to the timber floor. These can be undone to clean the floor if necessary. 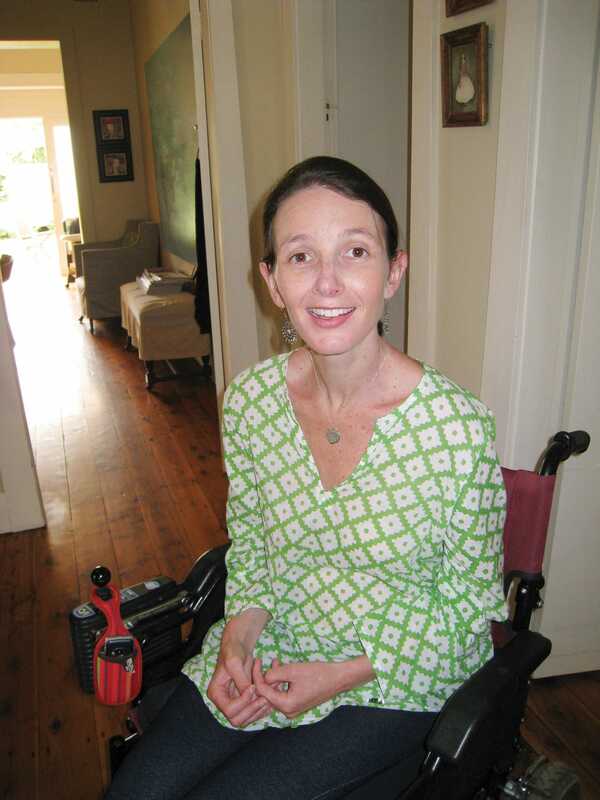 Emma lives in an older-style house with slight changes in floor level at several of the doors, including the entry to the house, and she was not able to get her wheelchair over these unaided. 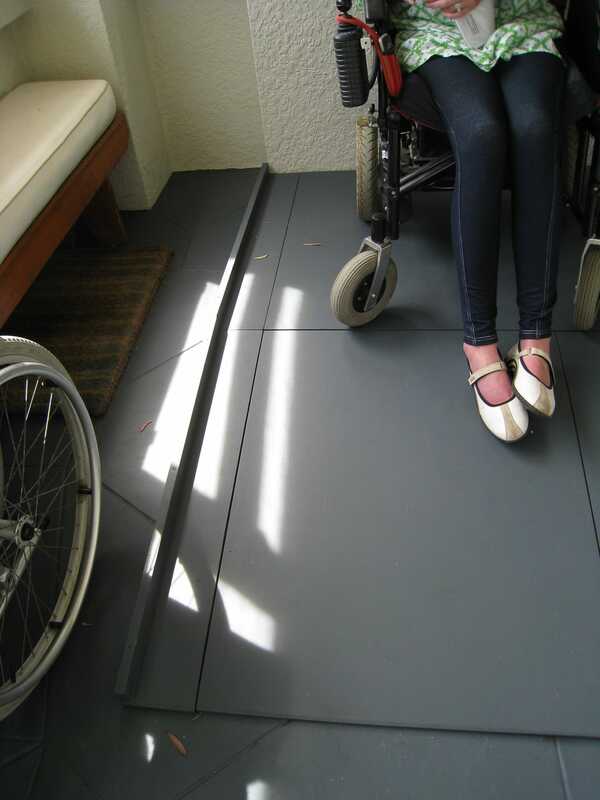 There are commercially available ramps for such situations, but these did not fit the specific dimensions that Emma needed. Volunteer Graeme Marshall built two customised ramps to solve the problem. 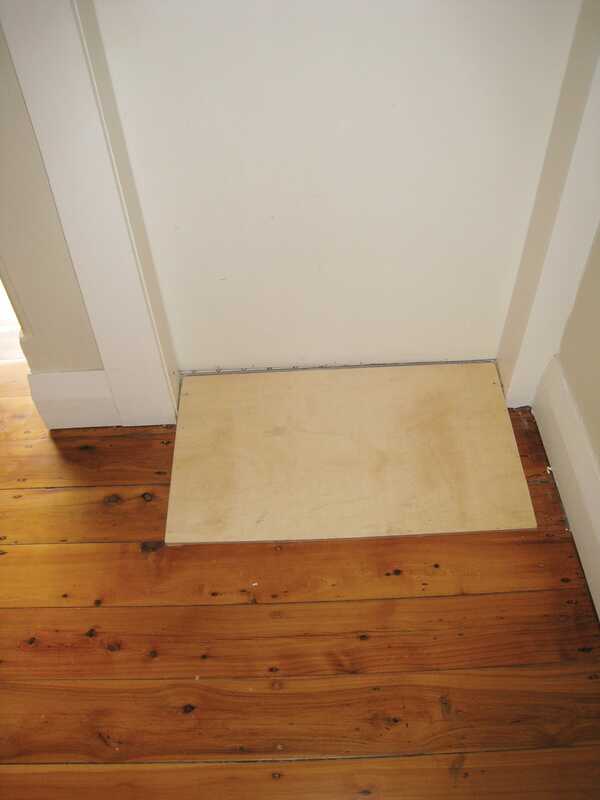 The 4cm-high step outside the bathroom door is bridged by a simple triangular plywood ramp. The ramp to the front door was more complicated, as Emma had to be able to wheel herself over the step and then turn at right angles to go down to the porch. The answer was a platform immediately next to the step, with a 90cm-long ramp providing a gradual descent. When the ramp was installed, Julianne felt that it needed a lip to prevent the possibility of Emma going over the edge, so Graeme added this. 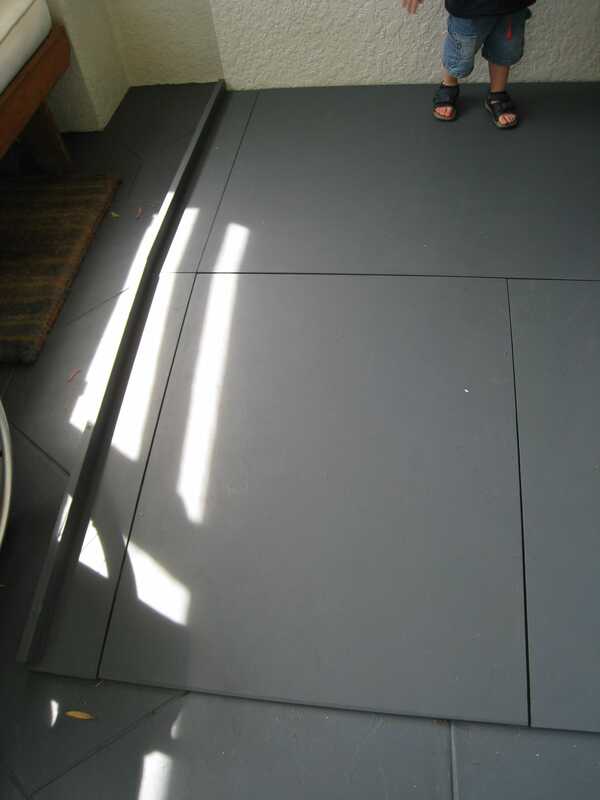 When the job was finished, the porch floor and the ramp were both painted a deep grey to give a uniform appearance. move more freely about her house. Emma has nothing but praise for TAD volunteers. “I don’t know what I would have done without them,” she said. Send us your goals and challenges and our therapists and skilled volunteers will review and come back to you with how we can work together to achieve them.